May 5, 2005–August 7, 2005 The Metropolitan Museum of Art. Special Exhibition Galleries, 1st floor. 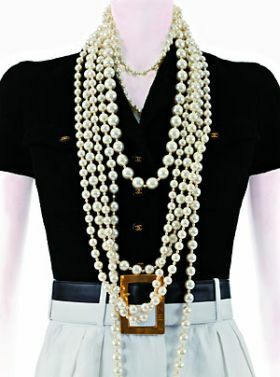 One of the most revered designers of the 20th century, Coco Chanel (1883–1971) made an enduring impact on the fashion world. 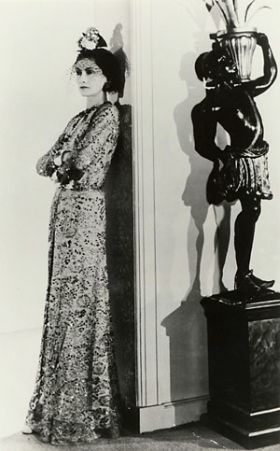 It is the authority and mastery of her work, the resonance of her image of the modern woman as articulated in her designs, and the autobiographical infusion of influences in her collections that confirm her iconic stature. In this exhibition, the spirit of the House of Chanel echoes vibrantly with an unprecedented presentation of more than 50 designs and accessories from the Museum’s Costume Institute collection, Chanel Archives, and other international institutions such as the Victoria and Albert Museum in London. The exhibition examines the history of the House of Chanel thematically, revealing ideas and elements of biography as they were expressed in Chanel’s work. Period examples are juxtaposed with the work of Karl Lagerfeld, who joined the House of Chanel in 1983, revitalizing its spirit and identity. Through Lagerfeld’s interpretations and refinements, the historic importance of Chanel is both defined and asserted for the modern woman. The exhibition and its accompanying catalogue are made possible by CHANEL. Additional support has been provided by Condé Nast.